Gabrielle Vilela of Rio de Janeiro was crowned Miss Brazil World 2017 in Angra dos Reis on August 12, 2017. She was crowned by last year's winner Beatrice Fontoura and will now represent the largest country South America at the 2017's Miss World Pageant in China. 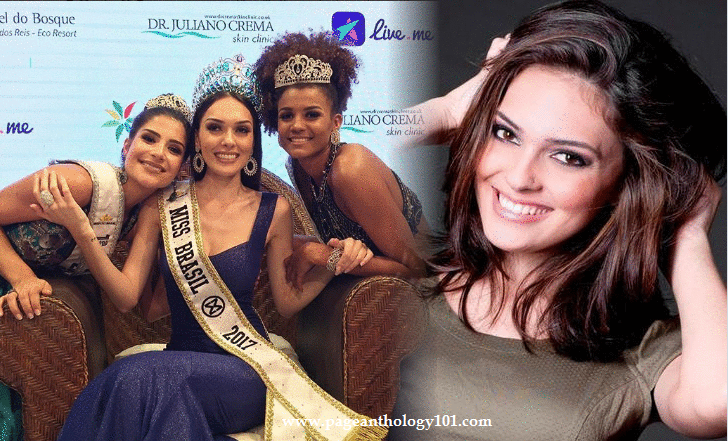 Gabrielle bested 41 other beauties including her court : First runner-up was Bárbara Reis of Mato Grosso who was also named as Miss Elegance and the Second runner-up was Julia Horta of Zona da Mata Mineira.